It is always a special joy to find a debut author whose voice and story reveal a world you know little about. Aisha Saeed’s Written in the Stars is just such a novel. It kept me nervous from the first page to the last, wondering how Naila would escape the horrible situation of being forced to marry. 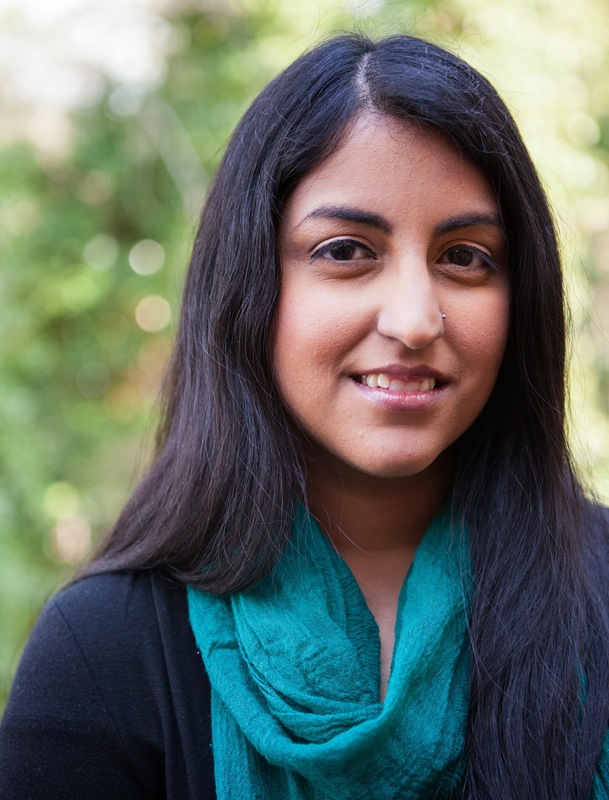 Here Aisha, an Atlanta-native, talks about forced marriage, the role of guilt in girls’ lives, and about the everyday brave girls she believes live throughout Pakistan. 1. Your novel explores different notions of love and marriage in American culture and Pakistani culture. What were the biggest challenges of telling this particular story of culture clash – and a girl caught in between two competing views? I think the concept of relationships and marriage and how people view them is very cultural. Depending on where they were brought up, people can find love in the most unexpected places, including arranged marriages. I actually met my husband through a semi-arranged marriage and had no issues with the process. Forced marriages however are nothing like an arranged marriage because arranged marriages involve consent, and forced marriages have none. In writing this story my biggest challenge was to clearly write about forced marriage without accidentally condemning arranged marriages in the process. To this end, I included an author’s note in the end of the book to illustrate the difference. I knew when I wrote this book that the concept of arranged and forced marriages wasn’t extensively covered in young adult literature and so this could be the first window someone had into these practices. I wanted to make sure I did it right. 2. I was especially fond of how you drew Naila’s family both here and in Pakistan. It was a loving portrait, but one that didn’t shy away from characters whose choices were so hurtful and destructive to Naila. What were some of the considerations you had in drawing this family as you did? Naila’s family is so similar to my own. Her parents are strict. She might get frustrated by all the limitations, but she loves them deeply and they love her as well. The same goes for her relatives in Pakistan who she connects with so quickly despite having met them so recently. I am glad that people often have a hard time hating any of the people in this book, including those who did awful things. The truth is, good people can do horrible things. In Naila’s story, her parents forced her to marry someone and honestly believed they were doing what was best for her. That is the reality of the situation for many girls and why so many stop fighting their forced marriage: they feel guilty. They love their parents and relatives and know their parents are motivated by good intentions. Thus, they feel conflicted about what to do. I wanted to paint a story that accurately reflected this. 3. Naila’s cousin is an advocate for her – at enormous risk to herself. In many ways, she was a strong girl herself, too. How did you find this character? 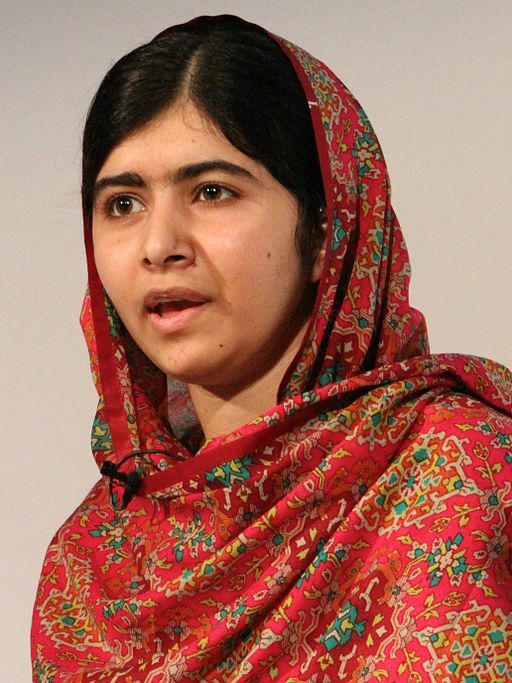 Many people around the world know about Malala Yousafzai, the brave Pakistani teenager who defied the Taliban and pursued an education. (Girls of Summer 2014 author) She is incredible and has done a great deal, but the truth is there are so many strong girls in Pakistan ­– brave and courageous girls who take a stand for what is right. While the world should rally to end forced marriages, there are people in Pakistan who are working to end it, whether it’s through huge campaigns or quietly, like Selma does, helping just one person. There are thousands of girls like Selma in Pakistan who perform quiet acts of courage and bravery each and every day and who are standing up for what is right even at grave risk to themselves. They may never make any headlines and we may never hear about them but they are still very brave nonetheless. I wanted to highlight this reality in my novel. 4. What makes Naila a strong girl in your opinion? Growing up I thought that in order to be strong you had to have no fear. As an adult I’ve learned that being strong can often mean being afraid while doing what is right. In Written in the Stars, Naila is terrified of the circumstances she finds herself in, but she continues to advocate for herself and tries to help herself. Even when she is truly trapped, she still continues to survive and make the best of her circumstances. She finds a way to get through her challenges even when it seems hopeless. I admire that so very much. 5. Finish this sentence for me: Strong girls – accept they are human and beautiful as they are. With all their strengths and flaws, they are enough. I’m working on my next young adult novel! THIS PROMISE I WILL KEEP is set to be published in 2017 and follows the life of a teenager who enters into indentured servitude to repay her family’s debts. Along the way she must make a choice between keeping close all she holds dear or saving her village from a dangerous threat. I am still in the process of writing it, and it’s very exciting to write about another strong girl! 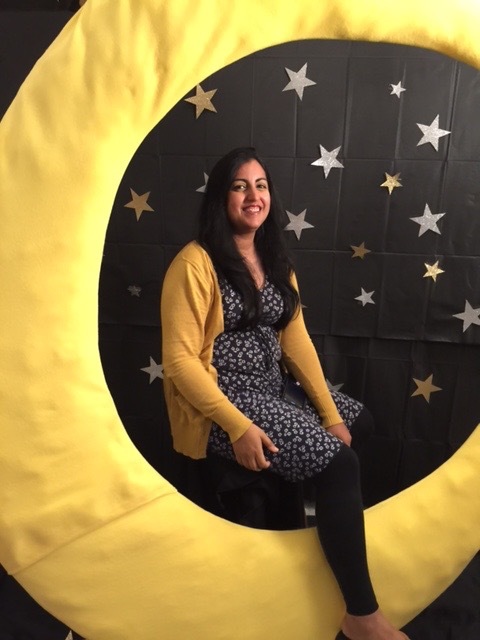 Aisha enjoying the moon and stars props at the Girls of Summer launch party in June.